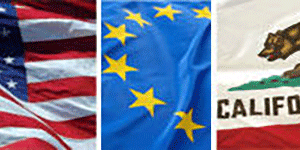 Impact of Tariffs: A new analysis by the U.S. Chamber of Commerce outlines the state-by-state impact of retaliatory tariffs from China, the European Union, Mexico, and Canada, which have been imposed in response to new U.S. tariffs on imported goods.Send a message to Congress. California is one of the 10 largest economies in the world with a gross state product (GSP) of more than $2 trillion. 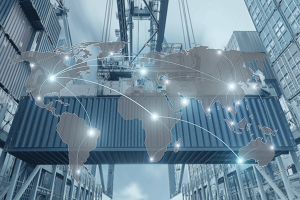 International-related commerce (including exports and imports of goods and services, plus investments) accounts for approximately one-quarter of the state’s economy. 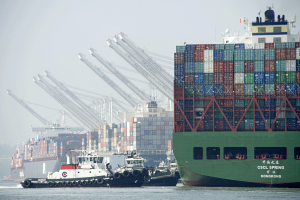 Although trade is a nationally determined policy issue, its impact on California is immense. California exports to over 225 foreign markets. 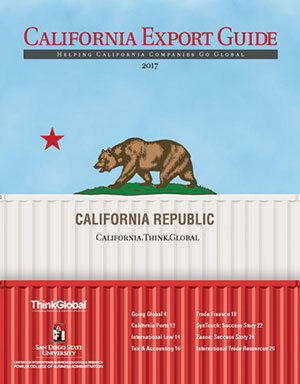 The California Chamber supports expansion of international trade and investment, fair and equitable market access for California products abroad, and elimination of disincentives that impede the international competitiveness of California business. 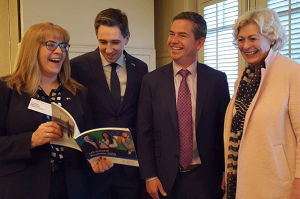 From left: The Hon. 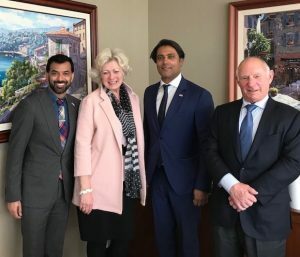 Zaib Shaikh, Consul General of Canada, LA; Susanne T. Stirling, VP international Affairs, CalChamber; The Hon. Rana Sarkar, Consul General of Canada, SF; and Allan Zaremberg, President and CEO, CalChamber. 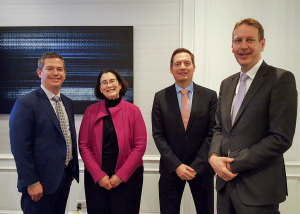 (February 21, 2019) The United States-Mexico-Canada Agreement (USMCA) underscores a renewed understating among the USMCA parties on the importance of our mutual trading relationships, everyone agreed yesterday at an international luncheon at the California Chamber of Commerce to celebrate Canada Day in Sacramento. 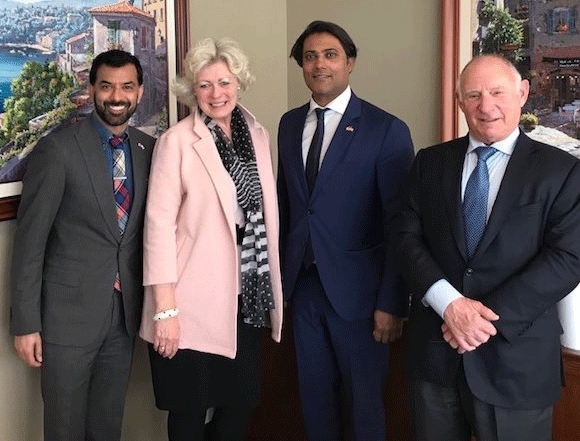 With the support of the Consulates General of Canada of San Francisco and Los Angeles and the Consulate General of Mexico in Sacramento, experts convened at the CalChamber for a thorough update and discussion on the agreement with more than 100 attendees. On September 3rd, 2018 the U.S. Trade Representative released a statement on the outcome of the U.S.-Korea FTA Amendment Negotiations, announcing the original agreement which entered into force in 2012 has been modified to “improve implementation of the trade pact”. The amendments can be found here. The California Chamber of Commerce reaffirmed support for the U. S.-Korea Free Trade Agreement (KORUS) in a letter sent to members of the Trump Administration, including the Secretary of Commerce and the US Trade Representative. The full text of the CalChamber’s comments can be found here. CalChamber Council for International Trade hosts trade events, forums, and guests. Through our lobbying team and committees, we monitor state and federal legislative issues, as well as multilateral and bilateral trade negotiations on behalf of Californians doing business abroad. 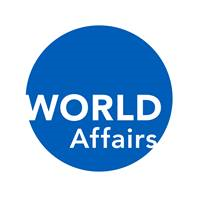 We work as a clearinghouse of information for international trade. We encourage our members to share their international expertise, while also bridging the gap between government agencies and private companies, here and abroad. We give you as many chances as possible to grow your international business. Each year, we sponsor/co-sponsor trade and investment missions, educational programs and conferences, as well as trade and catalog shows. 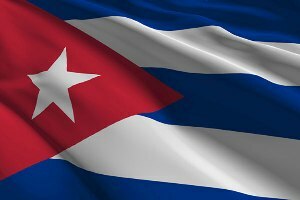 This nation-wide 20-member delegation met with high-ranking government officials, chatted with entrepreneurs in the emerging Cuban private sector, enjoyed the work of professional artists and musicians, heard from renowned historians and convened with diplomats and economists. Visit california-mexicomission.calchamber.com to learn more about this successful trade and investment mission led by Governor Edmund G. Brown Jr., organized by the California Chamber of Commerce and the California Foundation for Commerce and Education, a nonprofit 501(c)(3) organization affiliated with CalChamber. 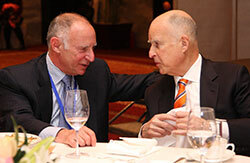 Along with senior members of his administration and business delegates, Governor Brown traveled to Mexico City, the political capital and financial center of Mexico. 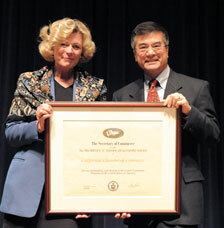 U.S. Commerce Secretary Gary Locke (right) presents the award to CalChamber Vice President of International Affairs Susanne Stirling in Washington, D.C. The California Chamber of Commerce received the prestigious President’s “Excellence for Export Service Award,” the nation’s highest award to honor United States exporters. Consul General Jeong Gwan Lee (left) and Consul Kwang Ho Lee (right) of the Korean Consulate General in San Francisco present the Korean Presidential Citation to Susanne Stirling. On December 6, 2012, the California Chamber of Commerce received the prestigious Presidential Citation from the government of the Republic of Korea for promoting U.S.-Korea trade and commercial relations, and specifically for contributing to the passage of the U.S.-Korea Free Trade Agreement (FTA). The CalChamber was an early supporter of the U.S.-Korea FTA, the culmination of a five-year process from negotiations, to passage and implementation. Hungary is the 21st largest economy in Europe. Despite Hungary’s size it is one of the largest growing economies in Europe and is the 13th largest trading partner with the United States. Hungary has steadily increased the number of American products it imports annually and continues to develop its economy and ensure an open market and solid trade relationships with American companies among different sectors. The webinar will give an overview of each market with a question and answer session at the end of each webinar. Brexit is the latest phenomenon in the western world presently characterized by shock and schism. 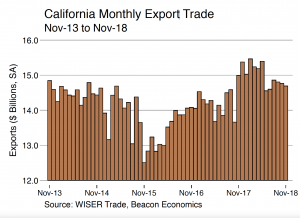 Dr. Matt Beech, Senior Fellow at the Institute of European Studies at UC Berkeley, provides an analysis of the potential implications for the US and specifically, trade in California, with Britain’s potential withdrawal from the EU. The UK is California’s 10th largest export market and the state did more than $5 billion in exports to the UK in 2017. His insights on the Brexit decision are sure to spark a lively discussion on the aftershocks of Brexit and a nuanced understanding of British history, political culture, and the English mind. Dr. Beech is a political scientist and historian who teaches post-war British political history, government and ideas – and is a Fellow of the Royal Historical Society and the Royal Society of Arts. Dr. Beech has appeared in the Washington Post, Financial Times, USA Today, Chicago Tribune, Le Figaro, BBC Radio, and CNBC Asia. 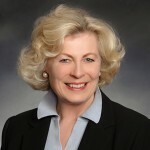 Dr. Beech’s talk is funded by a Getting to Know Europe Grant (2017-2019) from the European Commission to the Institute of European Studies at UC Berkeley.